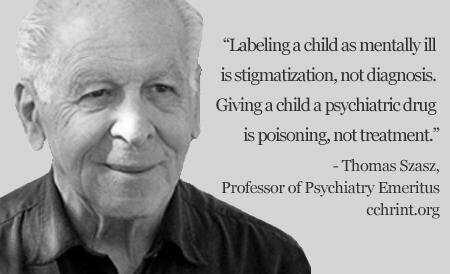 Whether under the care of Child Protective Services, Departments of Family and Child Services, or Youth Welfare Offices, foster children — often removed from family homes because of alleged abuse — are further abused when they are prescribed psychotropic (mind-altering) drugs. Already troubled over their circumstances, these children are drugged for emotional and behavioral issues, sometimes with tragic outcome. The high rates of psychotropic drug use in the Medicaid population, risks associated with these drugs, and research documenting inappropriate prescribing, have raised concerns, especially for children involved in the child welfare system. Have you ever heard of Medical Kidnapping? It’s when the government removes a family member from their home for some kind of medical reason. Some of the “medical” reasons given are: asking for a second opinion, disagreeing with a doctor, refusing to give or take a prescribed psychiatric drug, parents not vaccinating their kids, someone said there was some kind of medical abuse, someone said there was some kind of medical emergency. Now there’s a web site for it: http://medicalkidnap.com/. Medical kidnapping of children may be far more prevalent than anyone has realized. Children in foster care are three times more likely to be prescribed harmful and addictive psychiatric drugs, making them a large market for the psycho-pharmaceutical industry. Psychiatrists prescribed 93% of the psychotropic drugs dispensed to foster youths, according to a 2008 study. It is legal in Missouri to conduct medical research on foster children, albeit with various forms and approvals. Click here for more information about psychiatric drugging of foster children.